My pastry chef is heading back to college soon to finish her senior year. Going through drawers we found 22 t-shirts she no longer wore or were saving because they were special to her. 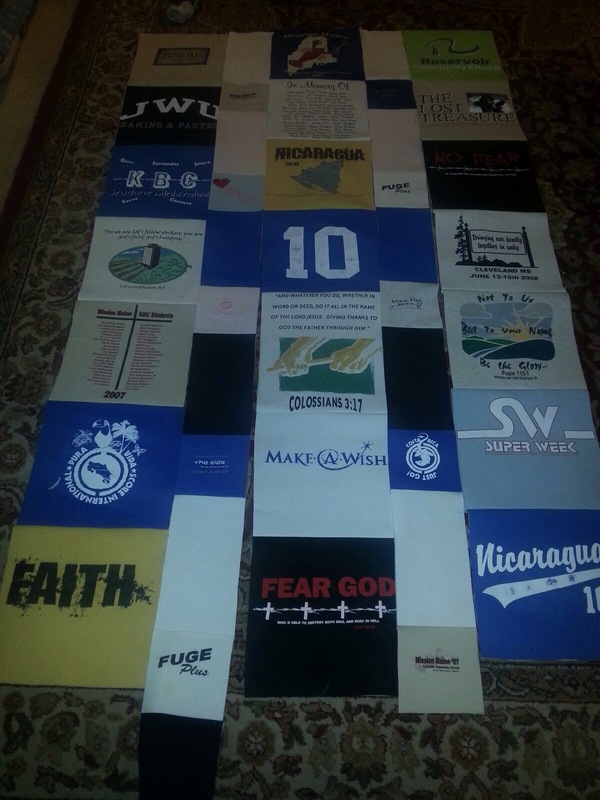 We decided a quilt would be the best way to preserve those memories and make that stack of T-shirts useful. 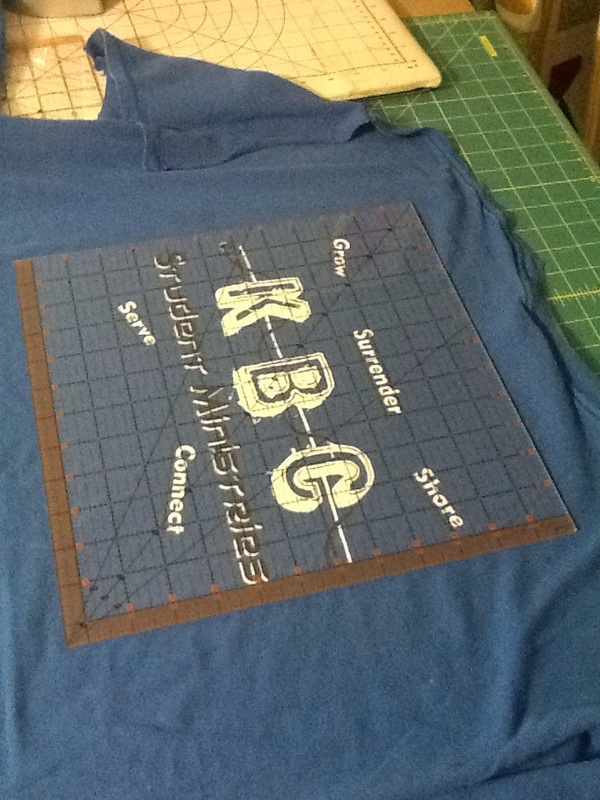 After gathering the shirts, we began to cut the fronts from the backs, as logos are often on both sides. 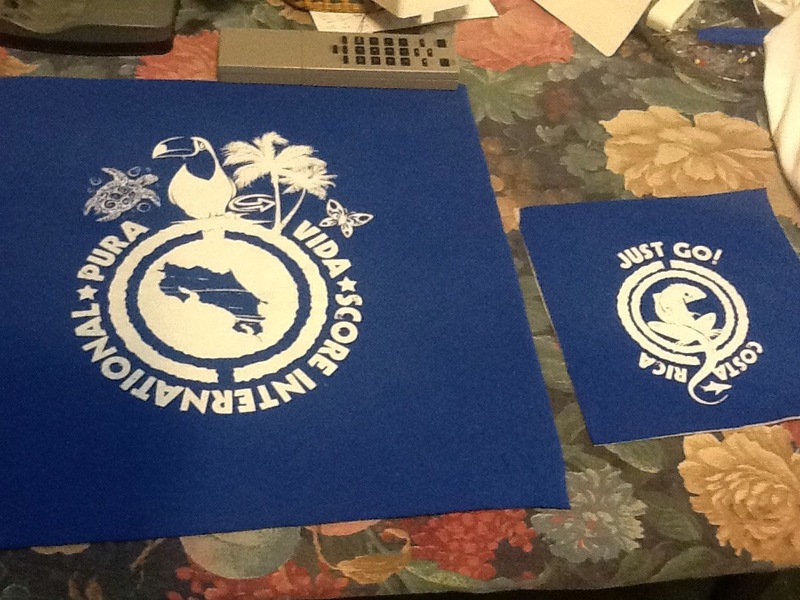 Then we cut the emblems or logos or screen print in 12″x11″ sections and smaller ones 6″x6″ sections. 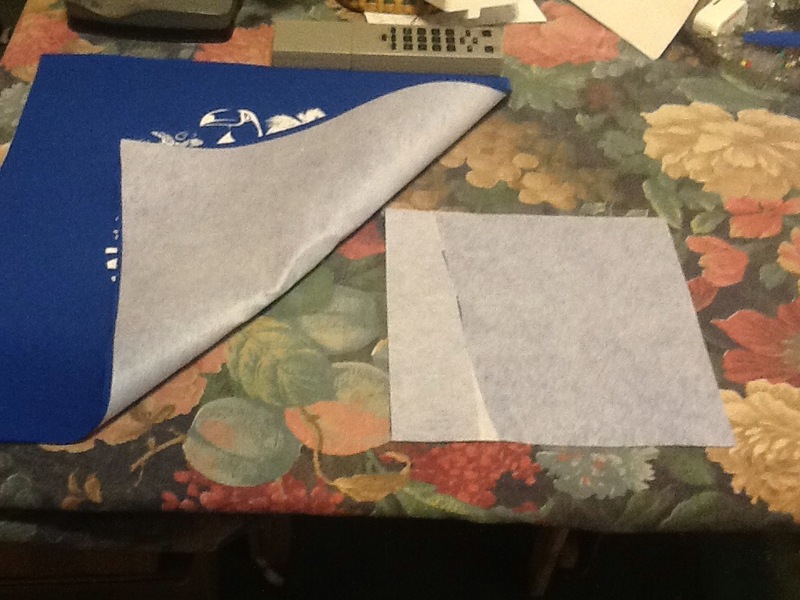 We then use 911ff type of fusible webbing to stabilize the fabric and keep it from stretching too much. 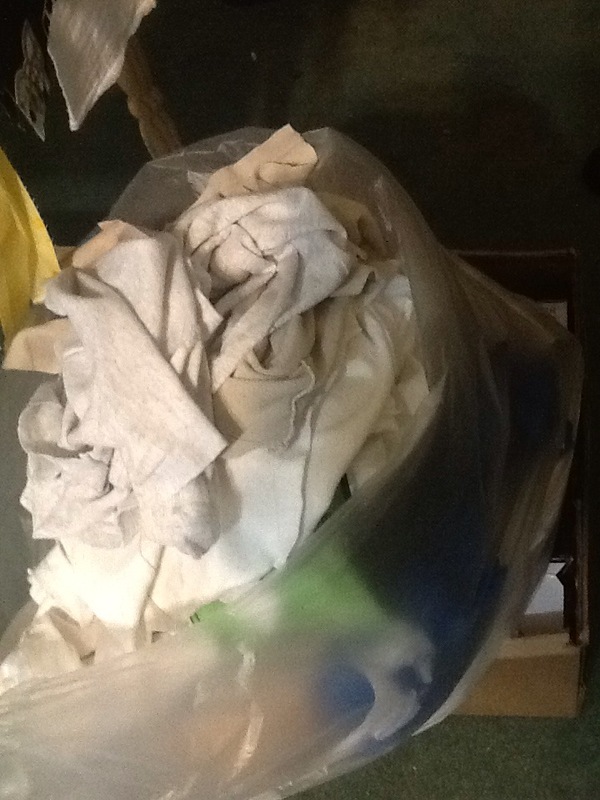 We bagged the sleeves and neck of the shirts and folded the bottoms and backs that had no screen printing. 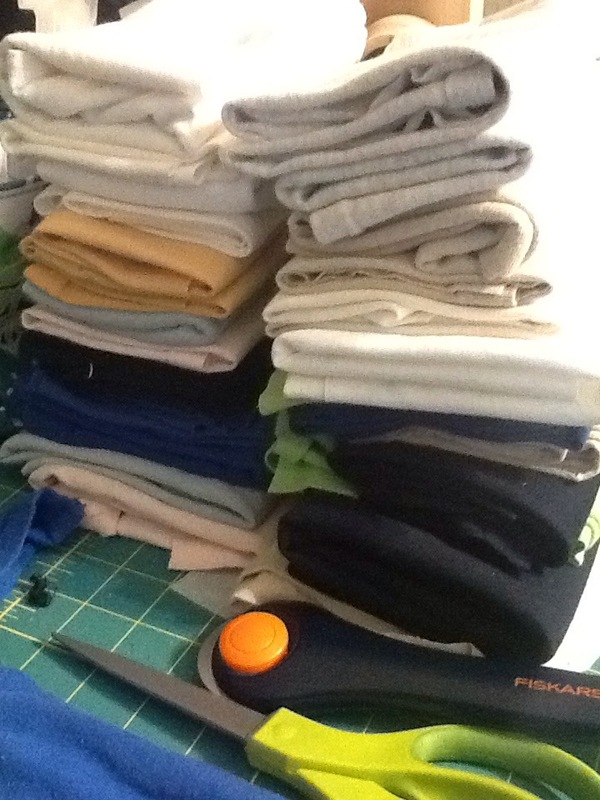 These will be used later in this quilt and leftovers will be saved for another project. I am sure I will think of something to remake with them 😉. I thought this next picture was just a tad bit funny. 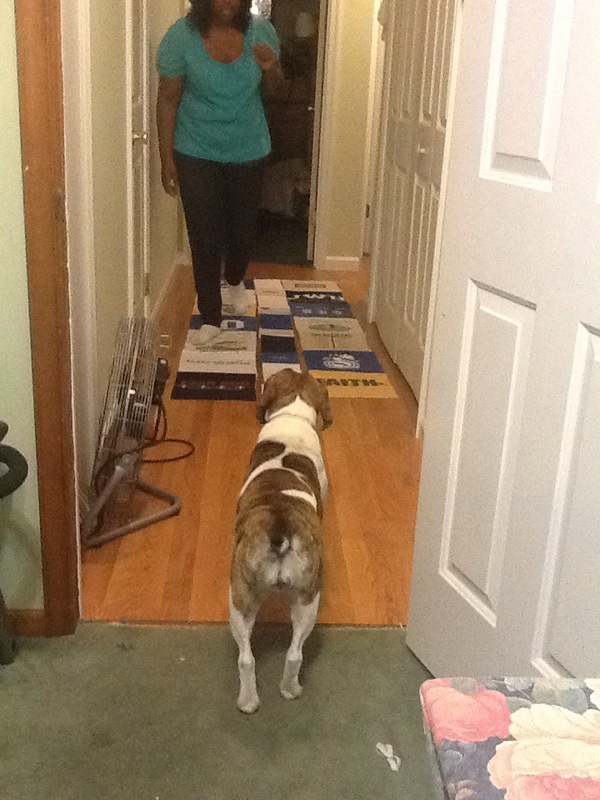 My daughter kept telling Chloe (our handy dandy canine) not to walk on the quilt as it is laid out in the hallway upstairs. But what is she doing? I LOVE LIFE AND FAMILY AND ALL IT BRINGS. BTW, this was done in one day so far. I will continue and hope to get it done within three days if my back cooperates. I would love to see how you are being creative and making old things new. I love this idea. My little boy keeps growing out of his T-shirts and there are some with real memories so that it’d be great to keep them. All the Star Wars and Spiderman ones! Thanks for the idea, I’ll be following how yours goes!